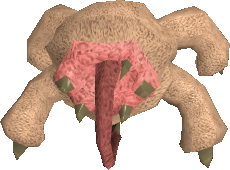 The Meiyerditch dungeon is a dungeon that is accessed after completing Legacy of Seergaze, and contains many enhanced Slayer monsters, as well as the famed Blood Altar. 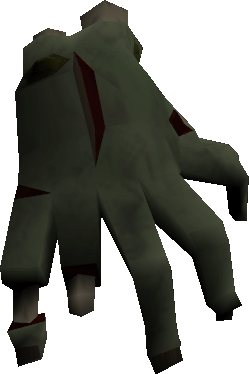 Occasionally throughout the dungeon, level 80 skeletal hands may jump down from the ceiling and attack you. The fastest way to get the the dungeon is by breaking a Blood Altar teleport tablet. The tablets can be obtained from the Runecrafting Guild shop for 45 tokens. 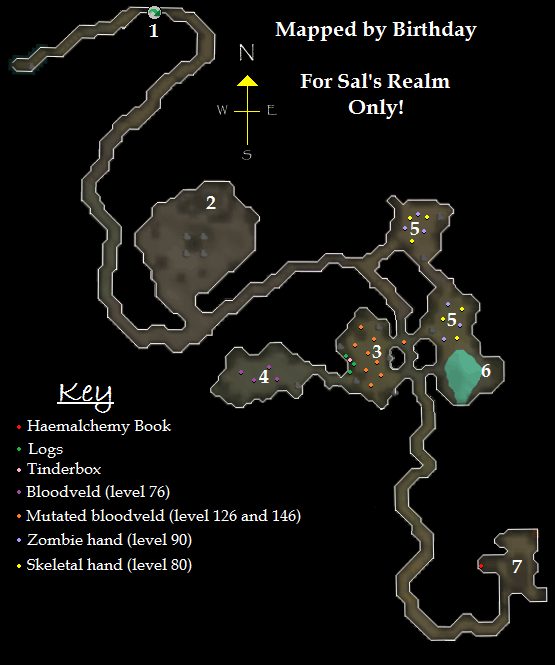 It will teleport you directly outside the blood altar at point 2. 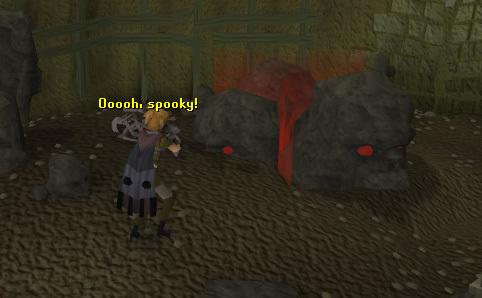 The second fastest way to get here is to enter the Blood Rift in the Runecrafting Abyss, then exit the blood altar via the exit portal. This will bring you to point 2. 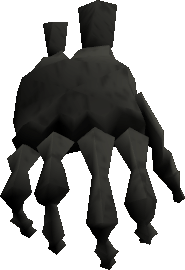 This is slightly dangerous as entering the abyss will leave you skulled, and in the abyss, there are many mid-level monsters that can hit fast and hard. The easiest way to get to the dungeon for most people is through the tunnel behind the Hair of the Dog tavern in Canifis. This route also requires 65 Agility. Once you enter from Canifis, go through the wall and go through the cave entrance to the east. In the next room, go straight south to the next cave entrance. Upon entering, you will be at the start of the tunnels. 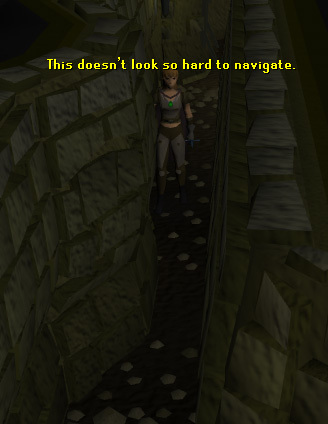 Going through the Agility shortcut (requires level 65) and continuing along the path will bring you to the main part of the dungeon. Another way to access the dungeon is to go through the Meiyerditch maze and enter through the laboratory the same way as done in the Legacy of Seergaze quest. This will bring you directly to the main area of the dungeon, but is much more confusing to get to. This is the shortcut that allows for quick access to the dungeon. The famed Blood Altar resides here, allowing for the ability to craft blood runes with 77 Runecrafting. A Blood Talisman or Blood Tiara is needed to enter. This room also plays a small role in Legacy of Seergaze. 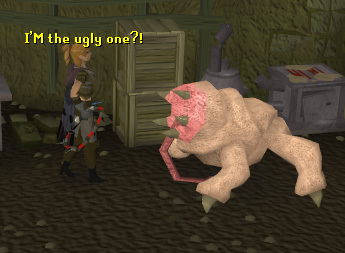 There are level 146 and 126 Mutated Bloodvelds in these rooms. 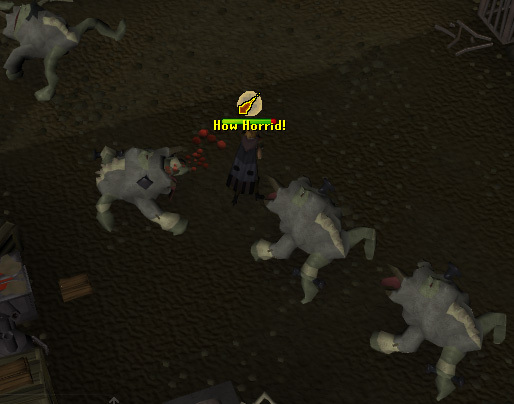 They are often killed by people doing slayer due to their high lifepoints and the area being multi-combat allowing for a dwarf multicannon. There are also a few logs and Tinderbox spawns in the room. 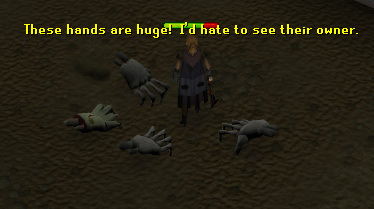 In these two rooms there are a number of level 80 Skeletal hands and level 90 Zombie hands. They offer somewhat decent experience per hour, but bring food because they can hit up to 150! The hands in these rooms are unaggressive, but the ones in the rest of the dungeon are aggressive. They also drop the occasional dragonstone bracelet. There are four fishing spots here where you can fish with a Rod and Bait to catch Slimy Eels and Cave Eels. 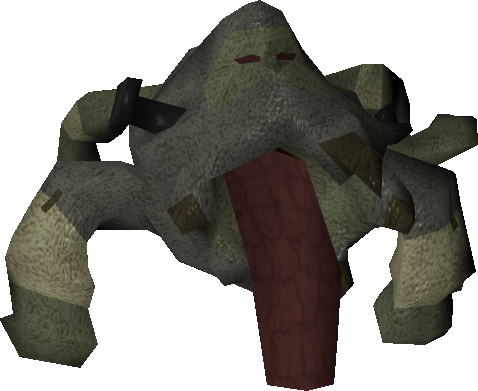 Coupled with the logs and tinderbox spawns in the mutated bloodvelds room, you can use these spots for a prolonged stay in the cave. 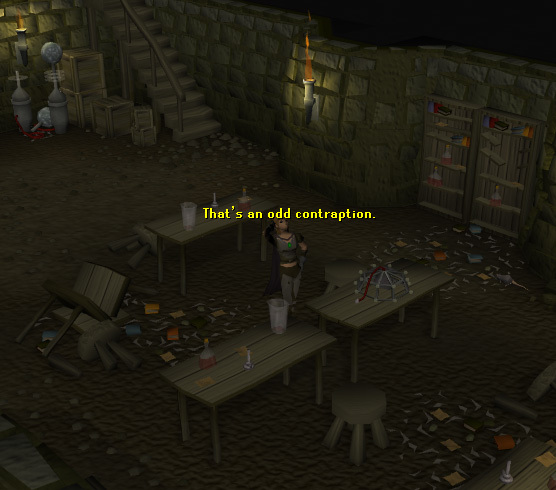 This is the laboratory where the Vyrewatch performed experiments on people. It is used in both the Legacy of Seergaze and the Darkness of Hallowvale quests. On one of the tables is the Haemalchemy book, used during the latter quest. If you haven't already, there are some runes that you can take from a broken rune case in the northwest corner of the lab.